2.0 tdi BRE engine injector removal. Thread: 2.0 tdi BRE engine injector removal. Hi. I looking around the internet and nothing. I have 2.0 tdi BRE 140bhp audi a6 c6. I want to replace injectors seals and tandem pump gasket. BUT i cant find any info about how easy is to remove these injectors. Only i find are other audi injectors..Nothing about Bre angine..different injectors. What i found has 4 seals but Bre engine 2 seals. Is any of you here with same engine done it and how tight they sit in the hole. Re: 2.0 tdi BRE engine injector removal. These not same. These has 4 seals and come out easy. 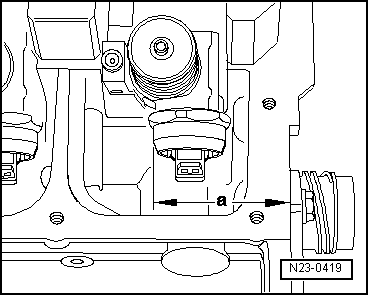 BRE injectors has only 2 seals and thats why im worried. That maybe injector housing it self is used to seal it. Same as older cr diesel injectors. The ones sit in the hole so tight that even by beating **** out of them they not moving. You have to carry out a measurement from side of cylinder head to a point on each Injector to accurately align the injector inside the cylinder head. Did you tube show that?? You need to use a puller tool to knock the injector out, if you have not got one. Okay, just make sure you`ve a calibrated eye when you nip the clamp.